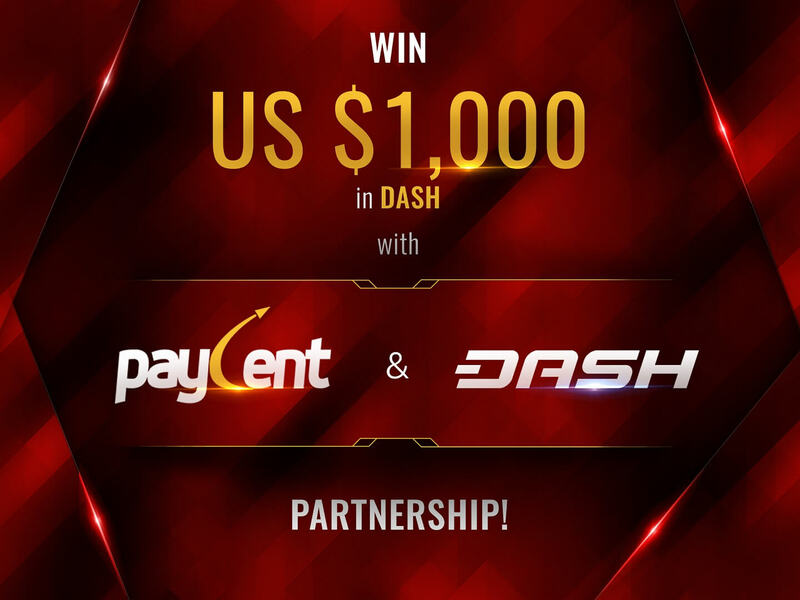 Paycent, a game changer in the financial technology industry, has partnered with Dash, a digital cash you can spend anytime or anywhere with instant transactions and micro-fees. There will be one grand prize of USD 1,000 in Dash, and 10 lucky winners will receive USD 200 in Dash; every transaction per wallet address gives you one entry into the lucky draw. Paycent aims to bridge the gap between digital assets and fiat; and now with Dash it is now possible. You can get your Paycent wallet on the Apple App store, Google play store or read all about it here on the Paycent website. Dash is now available on the Paycent Hybrid App. It allows you to seamlessly move across digital assets and fiat; and vice versa. You can manage, transfer, and pay using your smartphone easily and securely.